I have not seen a ballistic parachute failure before, except in the case of excessive speed. Maybe that was a factor here? May those pilots rest in peace. This underscores the importance of proper engineering and installation. That parachute is something that one should not cut corners on (think inspection and maintanence). Otherwise, you may as well remove it and fly around like a Cessna or Piper. I view my BRS as part of my insurance coverage, with no second thoughts about it. In the CT forum it was brought up that this seems to be the first operational deployment of a GRS "in the wild". If so, it's a disappointing first experience. We will know more about the true causes after the investigation. Whether the installation was to manufacturer's specs, how maintenance was performed, and the speed at deployment are questions I'd be curious to know answers to. 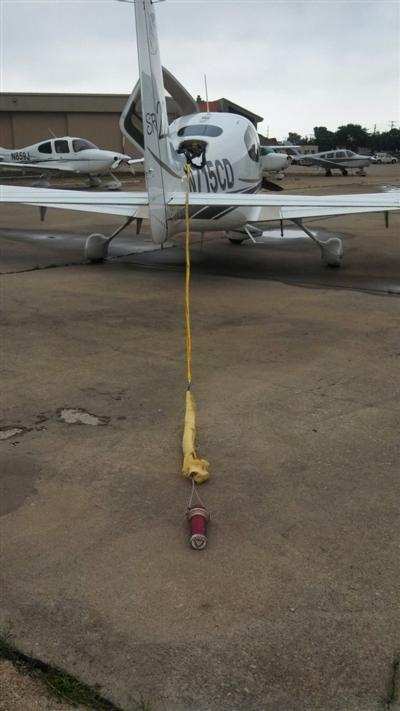 Well, there was a single failure to properly deploy in a Cirrus, albeit not GRS. So far blamed on extreme gyrations when the chute was pulled. Still, the accident in question is tragic and should raise concerns. MrMorden wrote: In the CT forum it was brought up that this seems to be the first operational deployment of a GRS "in the wild". If so, it's a disappointing first experience. Thanks, I thought that seemed weird considering the number out there. On another forum somebody mentioned both GRS and NTSB said it was the first, glad to see that corrected. Maybe GRS meant to say this was the first failure of one deployed in flight (non test). Last edited by Merlinspop on Sat Nov 04, 2017 8:02 am, edited 1 time in total. BTW That Sirius guy in Germany .. I would not deploy grs in a perfectly good plane with just a busted nose wheel. To me seems like deploying a chute at a pattern altitude is a greater risk than attempting a collapsed nose gear landing in a light sport. The Sirius deployment looks to be only 150-200 feet AGL. Pretty impressive! FYI -- There are several more Pipistrel GRS deployments documented as well. airplane during the accident flight. The NTSB said Galaxy Rescue Systems told them the accident was the first time one of the chutes had been deployed in flight. During certification, one test deployment was performed on the ground.